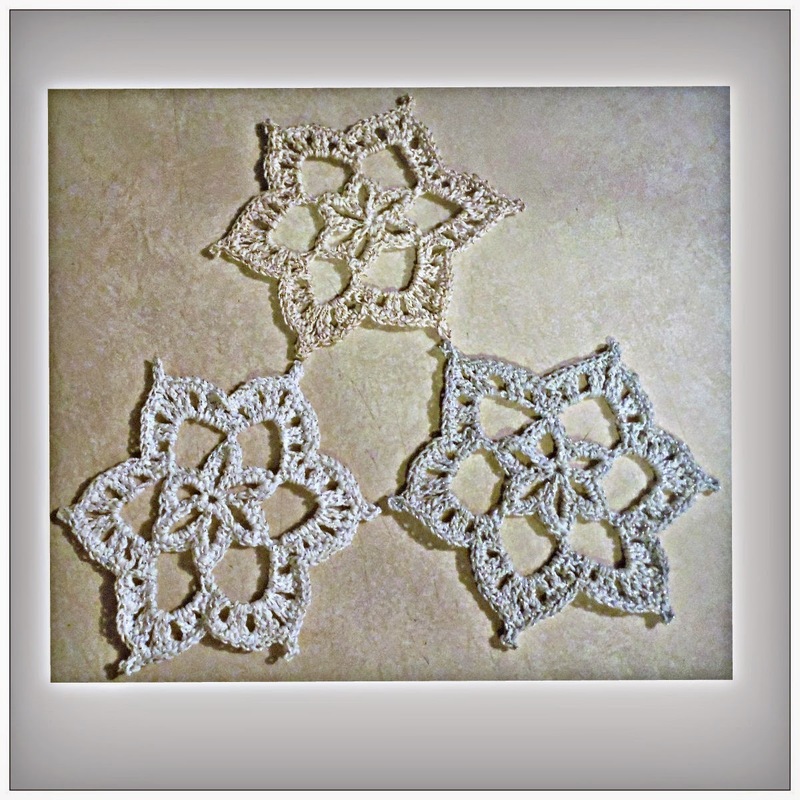 Special Stitches: ch 3 Picot: ch 3, sl st in last sc. Directions: Ch 3, sl st to join. Rnd 2: slst in 1st loop, ch 1, (7 sc in loop) repeat 6X. Join in 1st sc. Rnd 4: sl st into 1st ch 9 loop, ch 1, 2 sc in 1st loop ch 2, *(2dc, ch 2) repeat 4X, 2 sc* in 1st loop. repeat from *to* around, join in 1st sc. Rnd 5: slst to 1st ch 2 sp, ch 1, *2 sc in 1st ch 2 sp, sc in next 2dc, 2 sc in next ch 2 sp, sc in next 2 dc, sc, ch 3 picot, sc, in next ch 2 sp, sc in next 2 dc, 2 sc in next ch 2 sp, sc in next 2 dc, 2 sc in last ch 2 sp, skip next 4 sc* repeat from * to * around, skip last 2 sc and 2 slst, join in 1st sc. Finish Off, block as desired. 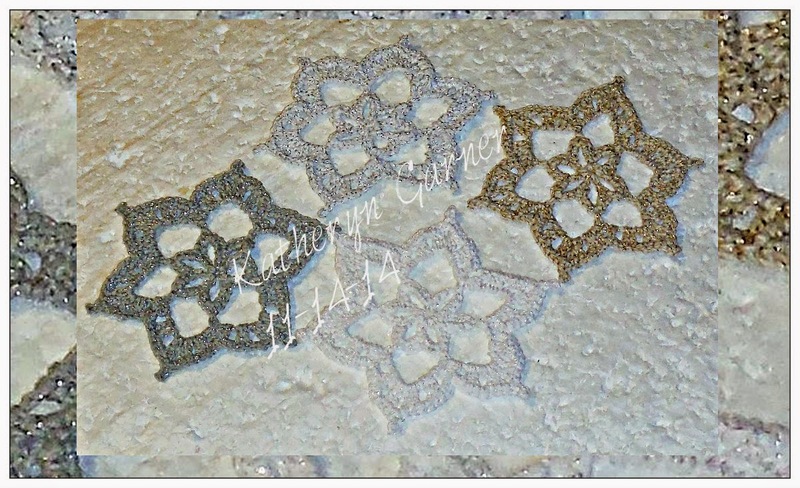 More really nice Snowflakes. I need to make a few of these, nice on a package to give. Thank you, and I like putting one in a Christmas card.